Hello everyone… It is 26 days until Christmas! Can’t you believe it? I hope you all are ready 🙂 For Christmas, I love making Christmas gifts for our families and friends. Today, I would love to share with you all a wood-burned magnets with some stamping! This is a fun project to make, especially for beginners it is easy. You can visit Joy Clair blog to see the steps how to make these wood-burned magnets. 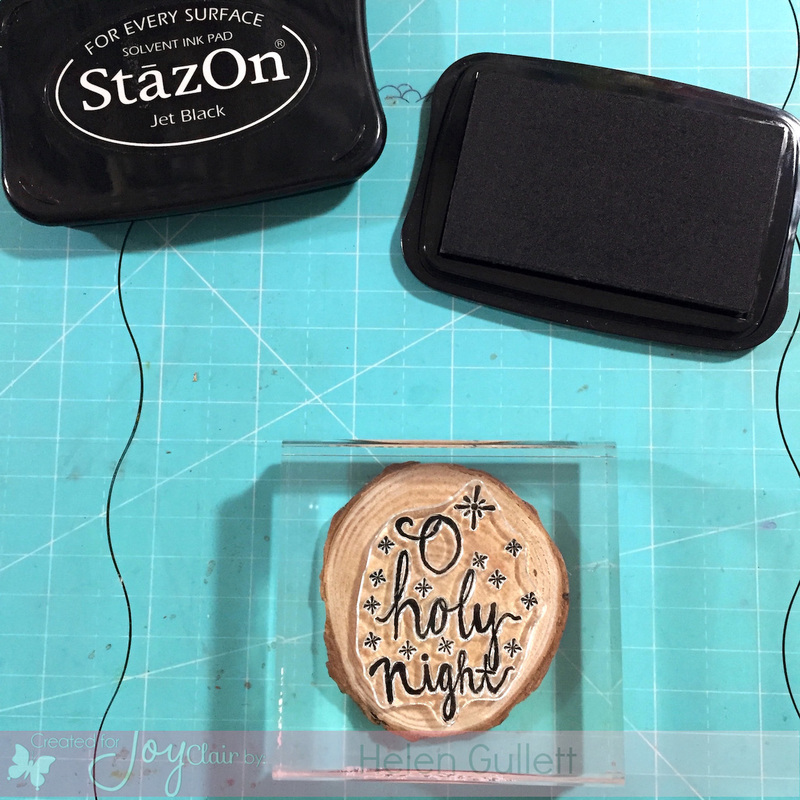 For you who are like me, never done wood-burnig before, this project is super easy because you can just trace the stamped images 🙂 And on these wood-slices I use Joy Clair Stamps: A Child Is Born stamp set and Holly Jolly Santa stamp set. I got the wood-slices at Amazon. They came in vary sizes. For magnets, I picked the smallest ones. They are between 1.75″ – 2″ wide. To stamp the images on the wood, StazOn and Memento ink pads are great inks. After stamping, you can leave it as it is if you like, but I decided to trace them with my wood-burning tool that I got from craft store. For your information, I pre-heated the wood-burning tool for 15-20 minutes before using it. Using the wood-burning tool, I traced the stamped image slowly. A tip, cannot be too slow when tracing becuase the heat will form a thicker and deeper line. So when you tracing, just do the motion like you are writing or drawing on the wood with this tool. It is kindda hard at the beginning but once you find your way, it is easier. Here are the 4 wood-burned images I did this time… I love how they turned out 🙂 On the back of them, I add strong magnet with strong glue. You can use E-6000 for this one, too. Glue gun is okay, but you need to make sure you add enough glue to hold the strong magnet. 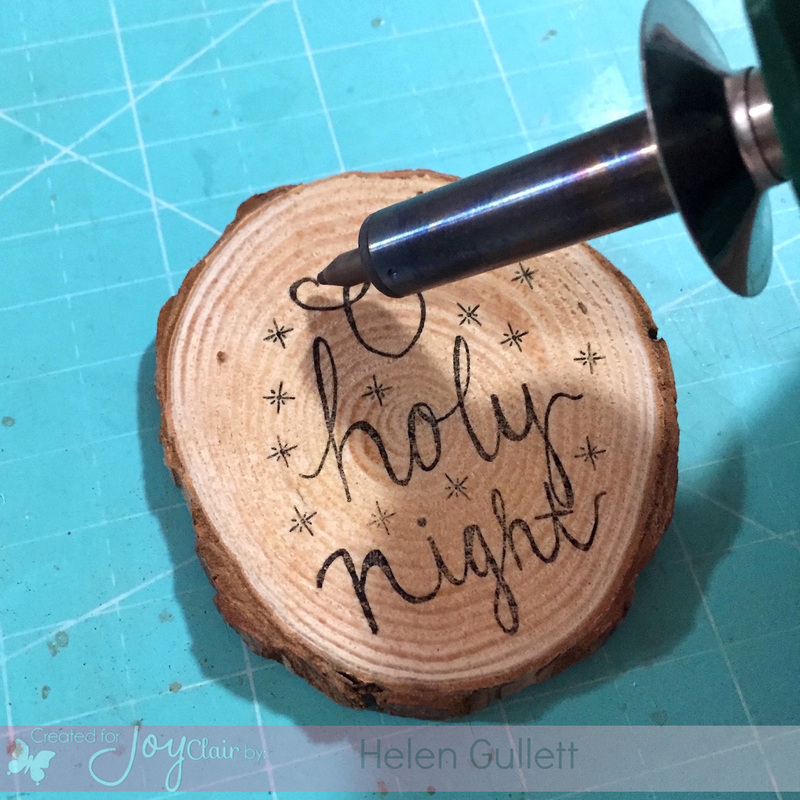 These wood-burned slices are also great for ornaments 🙂 You can drill a hole on each of them and add some twine to hang on the Christmas tree. I hope this inspire you to stretch the use of your stamps. Have a fabulous day and Thank you so much for visiting me today! love how these turned out! I enjoy woodburning with stamps.